I was given this gorgeous Rimmel London eyeshadow palette for Christmas by one of the children at work and I haven't stopped using it since! I think the Magnif'eyes is a new range to Rimmel London and they have three different palettes to choose from! 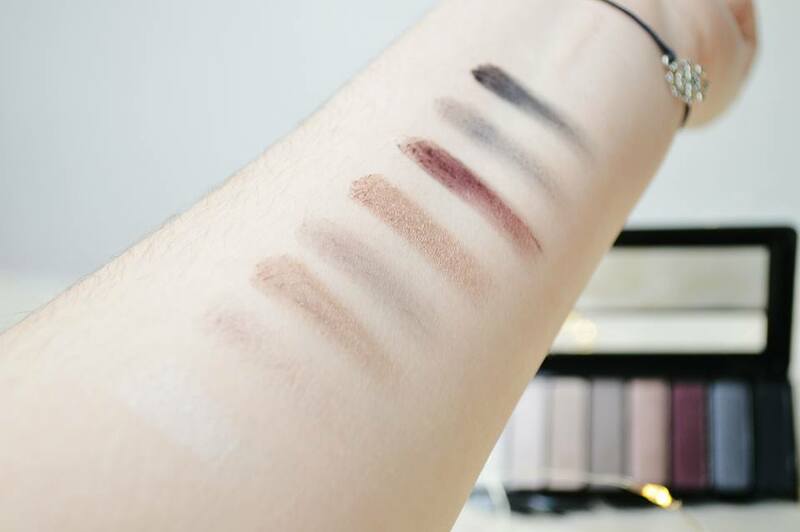 The one I was given is the "Grunge Galmour" Palette which includes four nudes shades and three smokey shades; a very versatile palette which you can use during the day and in the evening! I couldn't help but want to share this palette with you because it's absolutely stunning and definitely worth buying if you love trying out eyeshadow's as much as I do! I can't imagine me wearing the last two shades very often, however I am absolutely in love with the purple/red tone shimmer. It's absolutely gorgeous and brings out the blue in my eyes; I love the way it looks! I use this palette whenever I'm working because you can either use one eyeshadow across your lid or you can build up the colours to create a natural smokey eye with some beautiful brown tone/golden shades. I wouldn't say this palette is as pigmented as some palettes which are out there, but it's pigmented enough to create an absolutely stunning neutral or smokey eye. The eyeshadow's aren't powdery and they do not have any fall out either. One thing I love about these eyeshadow's is how they're build-able and blend-able. If you do not have enough colour, you can layer these shades as many times as you want and they still create a gorgeous eye look which lasts for hours! My usual eye look consists of the first shade in my inner corner to brighten up my eyes, the second shade blended into my crease, following with the fourth shade blended into my crease. If I'm going for a matte eye look I'll then use the third shade on the rest of my eye lid. 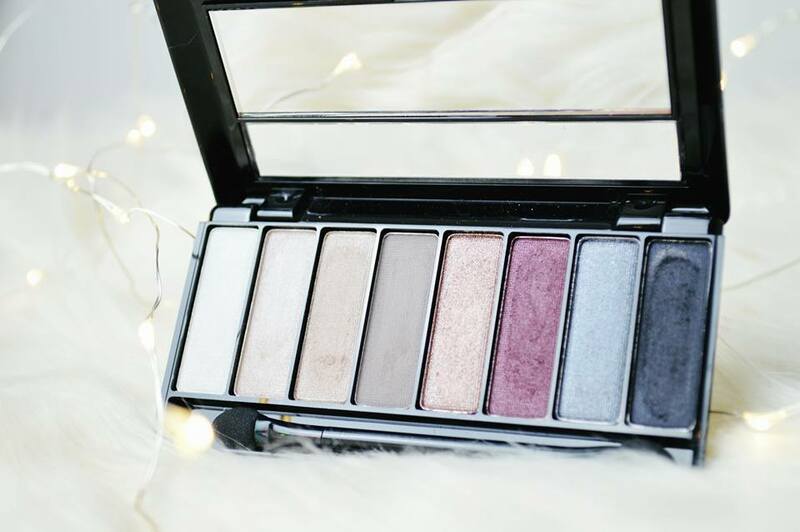 Some days I do absolutely love a shimmery eye so I'll apply the fifth shade all over, and I may even blend some of the gorgeous purple/red into my crease and outer corner to create a smokey eye! 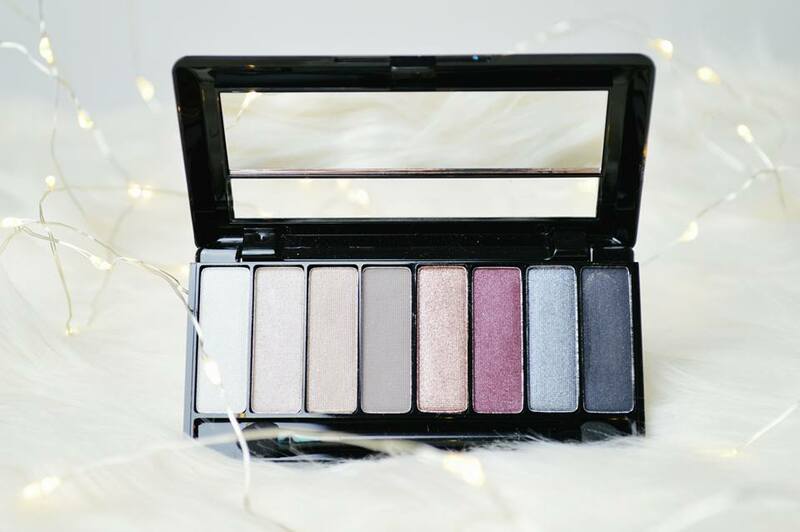 For an eyeshadow palette which you can pop into your bag if you're going for a weekend away, or even to someone's house for the night, you can easily create four or five different eye looks with just these eight shades. You can pick it up from so many different places online or in stores such as Superdrug, Wilkinsons and Boots! 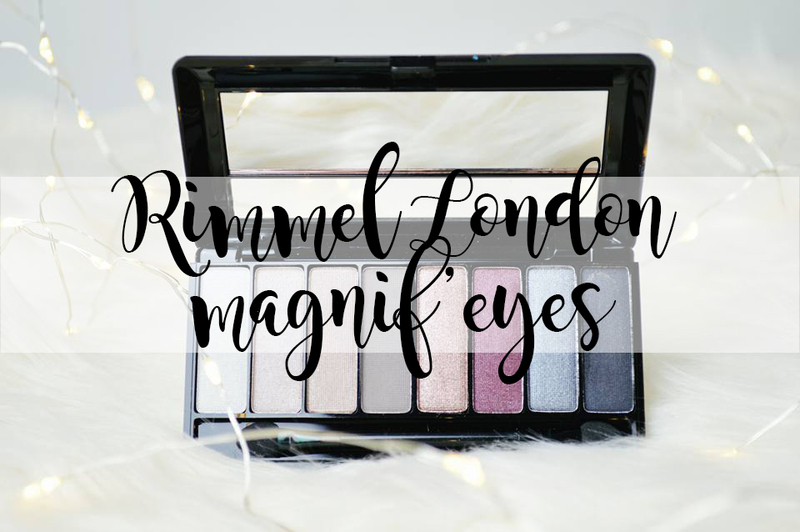 Have you tried out the Magnif'eyes eyeshadow palettes from Rimmel London? Let me know your thoughts on them.